Nestled in Westlake Hills, the home’s owners yearned to incorporate signature pieces of sentimental value collected through the years. 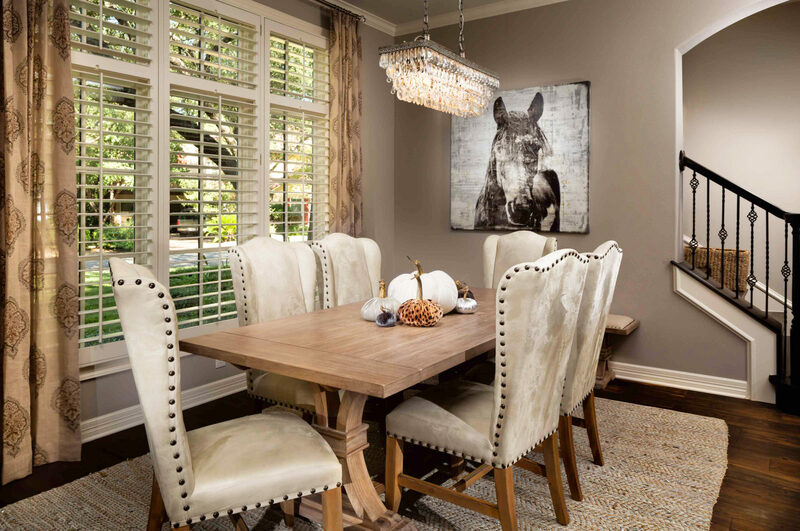 Reclaimed treasures mixed with modern accents reflect the family’s fun and functional style. 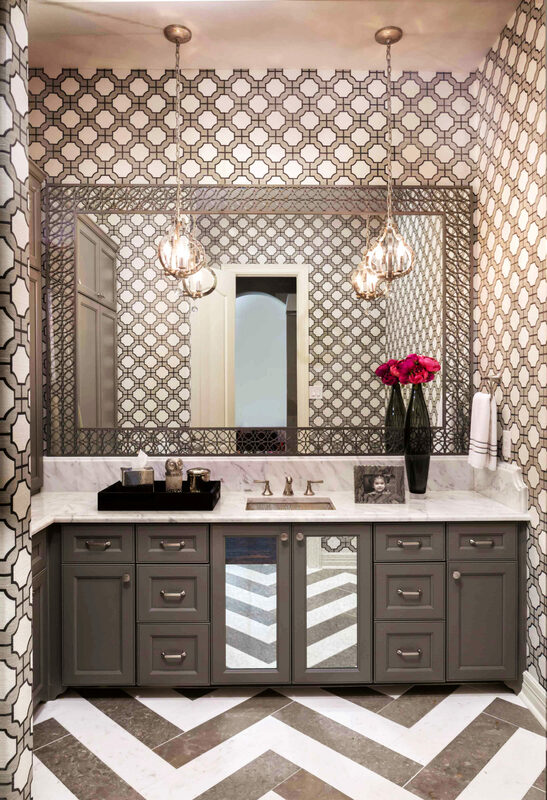 The Powder Bath was given a modern facelift with geometric tone-on-tone grass cloth wall covering, juxtaposed with the classic marble tile set in a chevron duo-tone pattern. 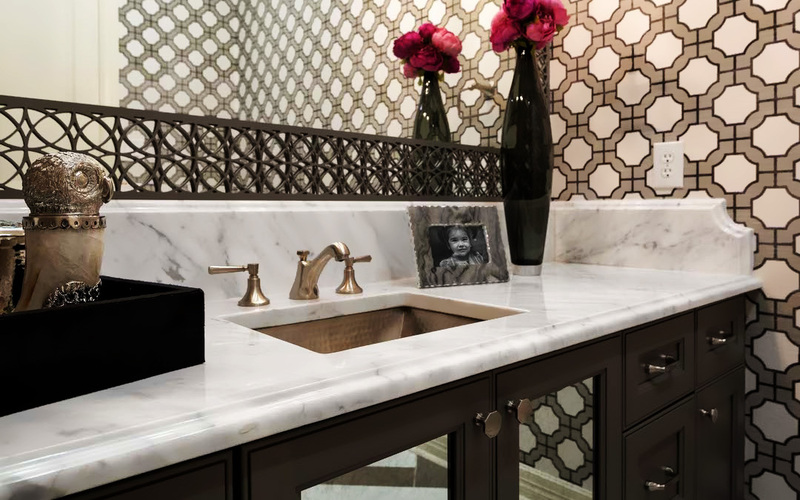 Brushed nickel fixtures and hammered pewter sink complement the silver leaf pendant lighting. 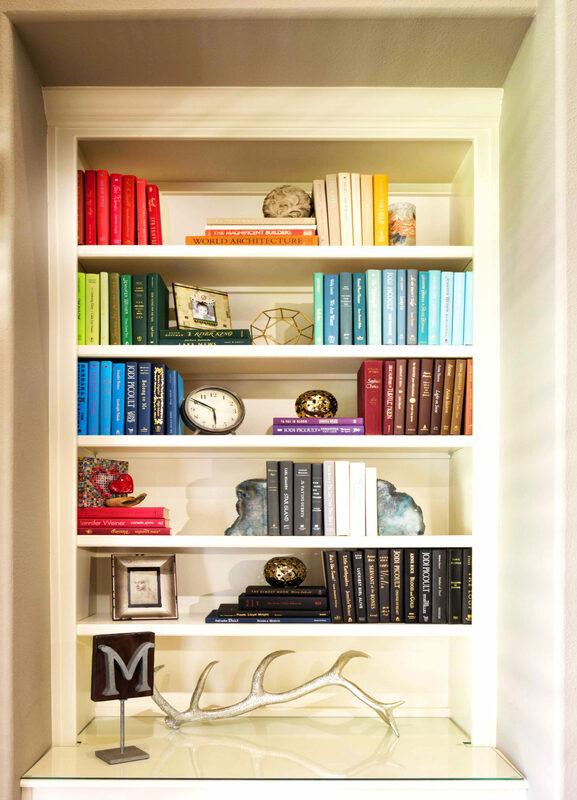 The Kids’ Study was designed to create a funky and unique vibe that will appeal to all sexes and ages. 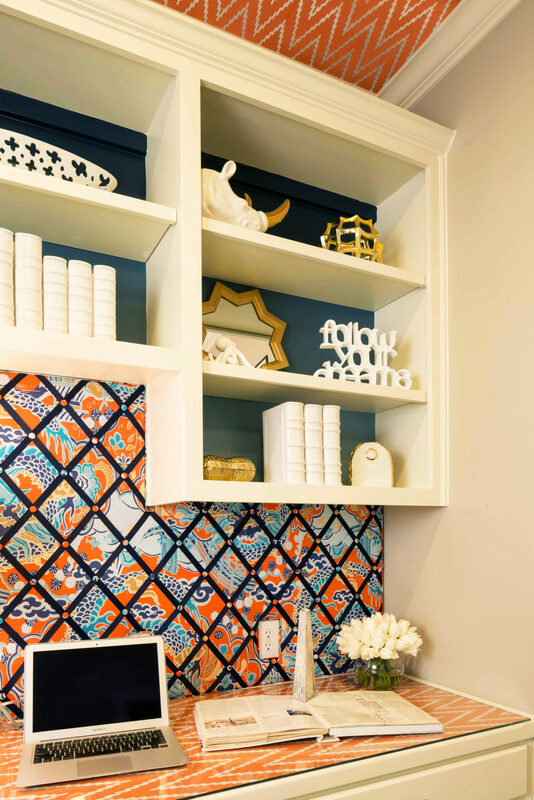 A play on patterns, textures and ombre accents, and playful application of zigzag wallpaper on the ceiling sets the tone for creativity, learning and inspiration. 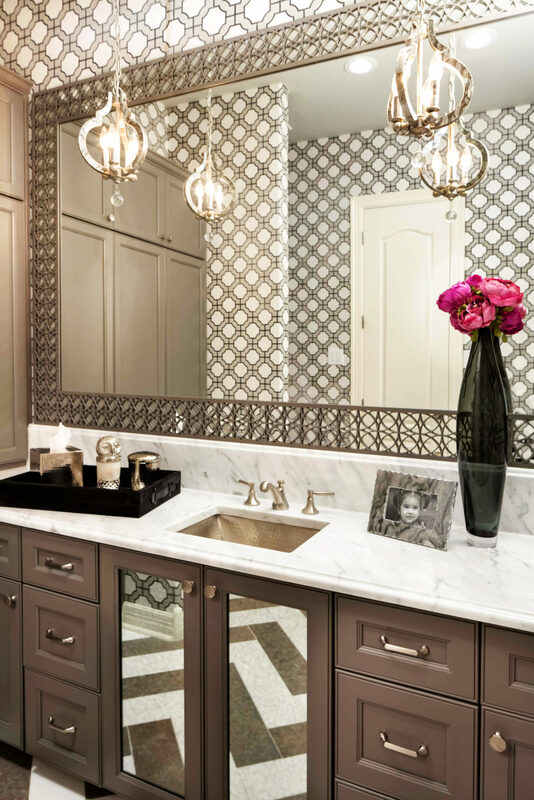 Whimsical accessories and satin brass chandelier balance nicely along with the timeless white cabinets and trim. The Playroom main objective was comfort. 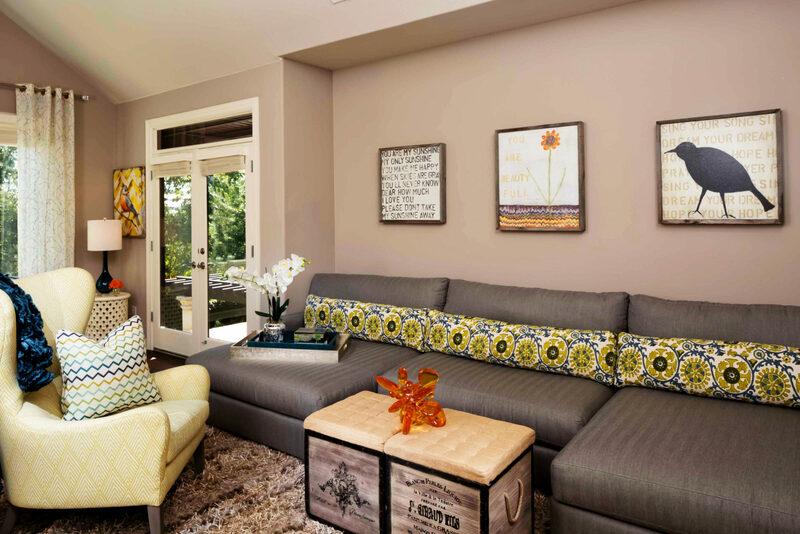 Integrating our favorite, custom-sized mosh-pit double-chaise sectional created tons of seating for relaxation. Multi-functional reclaimed wood and burlap trunk boxes serve as coffee table, ottomans and storage. 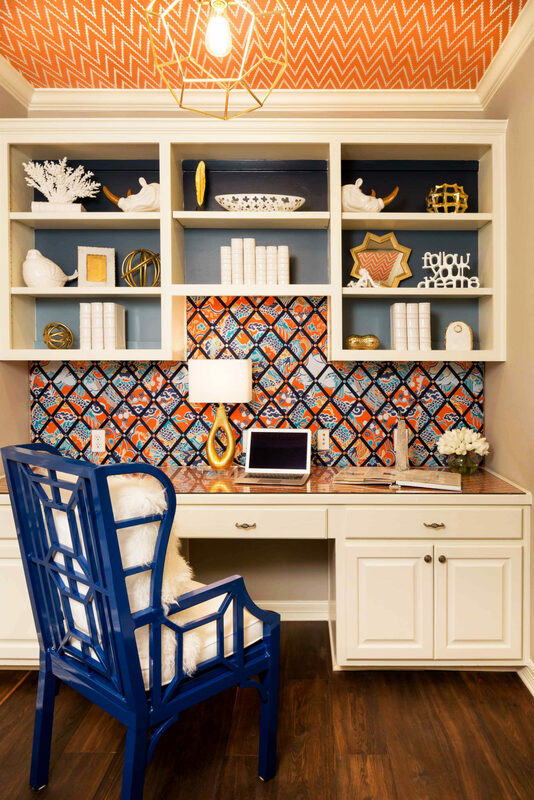 The playful patterns, art and accessories speak to the family’s love of fun and blends treasures with comfy, functional style.